No One Fights Pancreatic Cancer Alone! Fighting pancreatic cancer is done with courage, strength and the support of family and friends. The Pancreatic Cancer Association of WNY is here to help patients and their families in the fight of their lives. 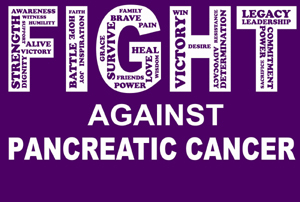 Received a diagnosis of pancreatic cancer? It can be a very confusing and emotional time but you are not alone. We'll help you understand the disease, your diagnosis, and direct you to other resources available in our area. If you just need someone to talk to, we can connect you with patients and family members who have asked the same questions as you.